California native plants dominate the grounds at the West Valley College campus in Saratoga. It’s an excellent place to appreciate a wide variety of mature plants in a garden setting. Starting from the front of the campus, between the Administration building and Campus Center, one immediately encounters a huge bed of California fuschias fuschias (Epilobium canum) interspersed with narrow-leaf milkweed (Asclepias fascicularis), salvia, coffeeberry (Rhamnus californica), California roses (Rosa californica), and blue oaks (Quercus douglasii). When the fuschias begin blooming in late summer, this area becomes a hummingbird haven, filled with a charm of these tiny birds zooming around each defending their own patch of flowers. This huge bed of flowers is a wildlife magnet – in addition to hummingbirds, the area is rich with a variety of birds taking advantage of the nectar, seeds and insects. As can be seen in this picture, the flower stalks provide a perfect perch for a pair of lesser goldfinches to enjoy a meal of fuschia seeds. Behind the Student Center, there is a patio where Redbud and manzanitas have been planted. A variety of native columbines and other flowers can be found in the flowerbeds that surround the building. A stroll through campus will reveal even more California natives. You’ll find specimens of blue elderberry (Sambucus nigra ssp. caerulea), redwood trees (Sequoia sempervirens), deer grass (Muhlenbergia rigens), bush anemone (Carpenteria alifornica), buckeyes (Aesculus californica) and more. There’s even a small bog with carnivorous plants next to the Science building. Be sure to look at the huge blue oak tree in the center of campus – watch it carefully and you are likely to spot the acorn woodpeckers that are often busily at work in it. The Saratoga Farmer’s Market is held at the campus on Saturday mornings – stop by and get some fresh produce and then take a stroll around campus. Many of the books listed here are available for purchase during Chapter plant sales and programs. Members receive a discount. A list of books stocked by the chapter is available here. DESIGNING CALIFORNIA NATIVE PLANTS GARDENS: THE PLANT COMMUNITY APPROACH TO ARTFUL, ECOLOGICAL GARDENS. Glenn Keator and Alrie Middlebrook. University of California Press (June 4, 2007). 352 pp, paperback. This book was created with the aim of conveying the awesome diversity and beauty of California's native plants and demonstrating how they can be brought into ecologically sound, attractive, workable, and artful gardens. Structured around major California plant communities--bluffs, redwoods, the Channel Islands, coastal scrub, grasslands, deserts, oak woodlands, mixed evergreen woodlands, riparian, chaparral, mountain meadows, and wetlands--the book's twelve chapters each include sample plans for a native garden design accompanied by original drawings, color photographs, a plant list, tips on successful gardening with individual species, and more. CALIFORNIA NATIVE GARDENING, A MONTH-BY-MONTH GUIDE. Helen Popper. University of California Press (2012). 217 pp, paperback. Helen Popper is a long-time member of the Santa Clara Valley chapter of the California Native Plant Society and one of the first Gardening with Natives subgroup members. She was the note taker at the group's early monthly meetings, and this book is a compilation of the knowledge of the native plant society members from those meetings. Popper goes over some of the concepts in the book at a CNPS meeting. CALIFORNIA NATIVE PLANTS FOR THE GARDEN. Carol Bornstein, David Fross, Bart O'Brien. Cachuma Press (December 1, 2005). 280 pp, paperback & hardback. This comprehensive resource features more than 500 of the best California native plants for gardening. Written by three of the state's leading native-plant horticulturists and illustrated with 450 color photos, this reference book also includes chapters on landscape design, installation, and maintenance. Detailed lists of recommended native plants for a variety of situations and appendices with information on places to see native plants and where to buy them are also provided. GARDENING WITH A WILD HEART. Judith Larner Lowry. University of California Press (1999), Berkeley, CA. 252 pp, softback. A compelling investigation into the whys and hows of gardening with native plants. Its engaging style mixes personal history, botany, anthropology, and ecology, and brings it all to bear on what you could be doing in your yard. This book has inspired many to practice restoration gardening. GARDENERS' GUIDE TO CALIFORNIA WILDFLOWERS. Kevin Connelly. Theodore Payne Foundation, 10459 Tuxford Street, Sun Valley, CA 91352. A personal take on wildflower gardening, with a focus on Southern California wildflowers. CALIFORNIA NATIVE TREES AND SHRUBS. Lee Lenz, John Dourley. Rancho Santa Ana Botanic Garden. Out of print. SEED PROPAGATION OF NATIVE CALIFORNIA PLANTS. Dara Emery. Santa Barbara Botanic Garden, Santa Barbara, CA. 115 pp, softback. An extensive table lists germination and propagation requirements of hundreds of native species. COMPATIBLE PLANTS UNDER AND AROUND OAKS. Bruce Hagen et al. California Oak Foundation, 1212 Broadway, Suite 810, Oakland, CA 94612. 69 pp, softback. FLOWERING SHRUBS OF CALIFORNIA AND THEIR VALUE TO THE GARDENER. Lester Rowntree. Stanford University Press. 1939. One of the earliest and best written books on native plants. Worth looking for in used book stores. THE LANDSCAPING IDEAS OF JAYS: A NATURAL HISTORY OF THE BACKYARD RESTORATION GARDEN. Judith Larner Lowry. University of California Press, 2007. 292 pp, softback. Elegantly organized by season, this lyrical yet practical guide to backyard restoration gardening celebrates the beauty, the challenges, and the rewards of growing native plants at home. Judith Larner Lowry, winner of the prestigious John Burroughs award, here builds on themes from her best-selling Gardening with a Wild Heart, which introduced restoration gardening as a new way of thinking about land and people. Drawing on her experiences in her own garden, Lowry offers guidance on how to plan a garden with birds, plants, and insects in mind; how to shape it with trees and shrubs, paths and trails, ponds, and other features; and how to cultivate, maintain, and harvest seeds and food from a diverse array of native annuals and perennials. Working in passionate collaboration with the scrub jays, quail, ants, and deer who visit her garden, and inspired by other gardeners, including some of the women pioneers of native plant horticulture, Lowry shares the delights of creating site-specific, ever-changing gardens that can help us better understand our place in the natural world. THE CALIFORNIA LANDSCAPE GARDEN: ECOLOGY, CULTURE, AND DESIGN. Mark Francis, Andreas Reimann. University of California Press. 1999. 254 pp, hardcover. The beauty, resources, and natural processes of the California landscape are brought to the home garden in Mark Francis and Andreas Reimann's fine testament to ecological gardening. The authors connect history, culture, region, and design to help us understand how California and its human population have evolved historically and how individuals today can make a difference in the state's future in their own backyards. The authors' goal is to bring the history of the California garden up to date with the ecological and cultural concerns of our time. Francis and Reimann use California's natural beauty and habitat as a starting point for inspiring Californians to see their gardens as extensions of the surrounding landscape. They provide essential information on native plants and wildlife, ecology and bioregionalism, landscape history and design concepts, as well as numerous examples showing how to integrate environmental principles in one's garden. Landscape meaning and regional thinking are an important part of an ecosystem approach to home gardening, say the authors. This is a book for anyone seeking a garden philosophy that is environmentally sensitive, and even experienced home gardeners, landscape professionals, and horticulturists will find new and useful material here. GROWING CALIFORNIA NATIVE PLANTS. Marjorie Schmidt. University of California Press, Berkeley, CA. 366 pages, softback. First published in 1981, this book is still at the top of the heap when it comes to books on native plant gardening. Written for the gardener, the book covers a wide variety of native plants, their characteristics, culture information, and estimate of garden value. This is a must-have book for beginners and experts alike. NATIVE PERENNIALS OF CALIFORNIA. Glenn Keator. Chronicle Books, San Francisco, CA. 303 pp, softback. This out-of-print book is worth hunting for in used bookstores for its encyclopedic content. NATIVE SHRUBS OF CALIFORNIA. Glenn Keator. Chronicle Books, San Francisco, CA. 314 pp, softback. A handy reference on woody native plants. A particularly useful section is the appendix on commonly available cultivars. SUNSET WESTERN GARDEN BOOK. Kathleen Norris Brenzel, Ed. Sunset Publishing, Menlo Park, CA. 2001. 768 pp. The mother of Western gardening references. Its Plants Selection Guide has a section on native plants, including California natives, with color photos. The Encyclopedia section contains more California natives. RELIABLE RAIN: A PRACTICAL GUIDE TO LANDSCAPE IRRIGATION. Howard Hendrix, Stuart Straw. Taunton. 140 pp, softback. DRIP IRRIGATION FOR EVERY LANDSCAPE AND ALL CLIMATES. Robert Kourik. Metamorphic Press. 118 pp, softback. THE JEPSON MANUAL: HIGHER PLANTS OF CALIFORNIA. James Hickman, ed. University of California Press, Berkeley, CA. The final word on California native plants. A CALIFORNIA FLORA. Philip Munz. University of California Press, Berkeley, CA. 1681 + 224 pp, hardback. Obsoleted by Jepson, this reference is still a favorite of many botanists. FLORA OF THE SANTA CRUZ MOUNTAINS OF CALIFORNIA. John Hunter Thomas. Stanford University Press, Stanford, CA. 434 pp, softback. FLORA OF THE MOUNT HAMILTON RANGE. Helen Sharsmith. CNPS, Berkeley. 94 pp, softback. Out of print but worth hunting for at used bookstores. FLORA OF THE SAN BRUNO MOUNTAINS. Elizbeth McClintock et al. CNPS, 909 12th Street, Suite 116, Sacramento, CA 95814. 223 pp, softback. CONIFERS OF CALIFORNIA. Ronald M. Lanner. Cachuma Press, P.O. Box 560, Los Olivos, CA 93441. 288 pp, softback. Award-winning book on all 52 majestic evergreen trees of the state. A superb mix of writing style, botanical knowledge, and appealing presentation. It may be the only book you need on the subject. OAKS OF CALIFORNIA. Bruce Pavlik et al. Cachuma Press, P.O. Box 560, Los Olivos, CA 93441. 184 pp, softback. An engagingly written and produced work on California's native oaks. Browse the beautiful pictures and captions, or read a chapter at leisure. A great first reference for identifying common oaks. CALIFORNIA'S WILD GARDENS: A Living Legacy. Phyllis M. Faber, ed. California Native Plant Society, Sacramento. 235 pp, hardback. The breathtaking beauty of California's native plants is captured in over 500 photographs and engaging commentary in an all-color, coffee table book format. WILDFLOWERS OF CALIFORNIA. Larry Ulrich, Susan Lamb. Companion Press, Santa Barbara, CA. 136 pp, softback. While not about gardening, this book will leave you marveling at the beauty and diversity of California native wildflowers, and wishing you could grow them in your garden. Detailed captions accompany each photograph, with the plant name and location, allowing you to plan field trips, or visit your local native nursery for seeds. AN ISLAND CALLED CALIFORNIA. Elna Bakker. University of California Press. 400 pp, softback. A classic reference which connects the native flora, fauna, climate, and geography of each biotic community in the state. TENDING THE WILD: NATIVE AMERICAN KNOWLEDGE AND THE MANAGEMENT OF CALIFORNIA'S NATURAL RESOURCES. M. Kat Anderson. University of California Press, 2006. 555 pp, paperback. John Muir was an early proponent of a view we still hold today--that much of California was pristine, untouched wilderness before the arrival of Europeans. But as this groundbreaking book demonstrates, what Muir was really seeing when he admired the grand vistas of Yosemite and the gold and purple flowers carpeting the Central Valley were the fertile gardens of the Sierra Miwok and Valley Yokuts Indians, modified and made productive by centuries of harvesting, tilling, sowing, pruning, and burning. Marvelously detailed and beautifully written, Tending the Wild is an unparalleled examination of Native American knowledge and uses of California's natural resources that reshapes our understanding of native cultures and shows how we might begin to use their knowledge in our own conservation efforts. Tending the Wild persuasively argues that this traditional ecological knowledge is essential if we are to successfully meet the challenge of living sustainably. THE HABITAT GARDEN BOOK. Nancy Bauer. Coyote Ridge Press, P.O. Box 192, Sebastopol, CA 95473. 56 pp, softback. This little gem makes for a great beginning to gardening for birds, bees, and butterflies, with written and pictorial vignettes of habitat and food plants in bloom. Native plants are well-represented, although the book includes some non-natives as well. If you are just getting interested in bringing natives into your garden, this book puts it all into context. BUTTERFLY GARDENING. Xerces Society, Smithsonian Institution. Sierra Club Books, San Francisco. 1998. 208 pp, softback. Essays by experts on gardening for butterflies, with many exquisite color closeups, master plant list, life cycle, photography, and resource list. NATIVE PLANTS FOR CALIFORNIA GARDENS. Lee Lenz. Rancho Santa Ana Botanic Garden. 1956. 166 pp, hardback. Out of print, but may be available through used book sellers. OUT OF THE WILD AND INTO THE GARDEN. Bart O'Brien, Lorrae Fuentes, Lydia Newcombe, Eds. Symposium proceedings. Rancho Santa Ana Botanic Garden Occasional Publications. Part I, 1992, 212 pp. Part II, 1995, 262 pp. Part III, 1997, 134 pp. Arbuckle, Nancy and Cedric Crocker (eds.). 1991. How to Attract Hummingbirds and Butterflies. Ortho Books. Garth, John S. and J.W. Tilden. 1986. California Butterflies. Berkeley: University of California Press. Stewart, Bob. 1997. Common Butterflies of California. Point Reyes Station, CA: West Coast Lady Press. Stokes, Donald, Lillian Stokes and Ernest Williams. 1991. The Butterfly Book: An Easy Guide to Butterfly Gardening, Identification, and Behavior. Little, Brown and Company. Tekulsky, Mathew. 1985. The Butterfly Garden. Boston: The Harvard Common Press. Xerces Society/Smithsonian Institution. 1990. Butterfly Gardening. Sierra Club Books. Here are links to some of our popular handouts. Free to download. Call before visiting nurseries. All cities are located in California, USA. Also see the California Native Plant Link Exchange for additional sources for native plants. Annie's Annuals & Perennials 740 Market Ave.
(510) 215-3301 Retail and mail order nursery with a large section dedicated to native plants. (415) 287-6755 Wholesale and retail nursery with a wide selection of rare and endemic Bay Area native plants as well as choice species from across the state. (510) 526-4704 Retail with one section devoted to natives. (707) 528 8813 Uncommon perennials, Mediterranean and California natives. Both wholesale and retail. Call for open hours. (831) 459-0656 California native seeds, plants, revegetation, consulting, and habitat restoration for professionals and home gardeners. 510-409-5858 Call for hours. Native plants plus demonstration garden. 650-949-3158 A wholesale nursery growing local native stock. Open to professionals by appointment. (415) 868-9407 Mail order seeds and California native wildflowers, perennials, grasses, shrubs, and trees. Demonstration garden. Retail plants at the nursery from October through July. (805) 438-5992 Mail order and on-site nursery. Planning tool gives you an instant native plant list for your ZIP Code, soil type, sun/shade exposure, wide variety plant purchases available. Deer problems link. 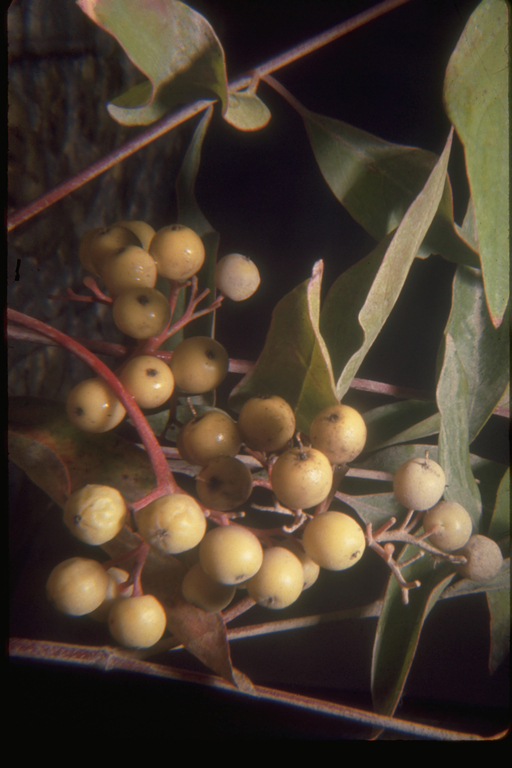 Extensive native plants lists. Linda Vista Native Plants San Jose. (510) 549-0211 Alameda and Contra Costa County natives. Nursery is operated by East Bay CNPS for East Bay Regional Parks District. Tuesday noon-3pm, Friday 9am-noon, Saturday 10am-1pm. Native Revival Nursery (831) 684-1811 Online-only. Wholesale and retail seeds and plants, contract collection and growing, revegetation and restoration. (510) 387-9744 Retail and wholesale. Offers contract growing for restoration and large landscaping projects. (925) 373-4417 or (800) 733-3462 Wholesale or through local nurseries. Wildflower and grass seeds. (4080 274-7815 This independent nursery devotes a section to a varied selection of native trees, shrubs and perennials. Address your native plant questions to Wanda Olson. (831) 659-3820 Native grass seed production and four-acre native plant nursery. Wholesale only. Revegetation, seed, container, and bare root plants. (510) 841-8732 Retail plants on Thursday 10am-noon. Seed is available in Visitor Center in fall and winter. April Spring Plant Sale. (831) 763 0939 Mediterranean, native, and water-conserving plants for California displayed in demonstration gardens as well as the nursery. (805) 684-0436 Wholesale seeds, with $150 minimum order. (650) 493-5136 Retail. There are several locations, but the Palo Alto store has the best selection of natives. Ask for Judith for assistance. (831) 728-2595 Wholesale only. See website for retail outlets. Develops new and unusual coastal plants with some natives. (510) 547-3564 Specializes in drought-resistant plants including California natives. (949) 728-0685 Wholesale and retail. Contract collects and grows. Round House Plant Store has plants and books for home gardener. Watershed Nursery 601 A Canal Blvd. (510) 234-22225 Retail native plants. Contract collects and grows. (650) 851-1668 Retail native plants with some seed. Strybing Arboretum Arboretum and Botanical Gardens Golden Gate Park, 9th Ave at Lincoln Way, San Francisco (415) 661-1316 Saturday sales with one for natives in the autumn. University of California Berkeley Botanical Garden 200 Centennial Drive, Berkeley (510) 642-3343 Autumn sale with some natives that are hard to find. University of California Santa Cruz Arboretum Empire Grade at Western Drive, Santa Cruz (831) 427-2998 Joint sale with CNPS Santa Cruz Chapter in April. California Gardens Extensive list of California native plants. Pictures and plant descriptions. Ojai, California e-business. California Native Grass Association Information packets, seed sources, workshops, website resources. Primary focus is grassland restoration, but resource list is broader. El Nativo Growers Inc (626) 969-8449 Good source of information on natives in the landscape. Wholesale only. The Theodore Payne Foundation for Wildflowers and Native Plants Inc. 10459 Tuxford Street, Sun Valley 91352 (818) 768-1802 Promotes and restores landscapes and habitats, propagates and sells native plants and educates about native plants. Sells native seeds in quantity. Where ecology and horticulture connect. The Santa Clara Valley Chapter of CNPS maintains the CNPS SCV Nursery on the grounds of Hidden Villa Ranch in Los Altos Hills. Volunteers propagate native plants throughout the year for the chapter's Native Plant Sales. Proceeds from plant sales are the major source of funding for all chapter activities. Inventory is updated once a month before the plant sale. Here is the most recent inventory. Nursery work sessions take place every Tuesday and Wednesday from 11am to 2pm. Volunteers should bring garden gloves. A sunhat, a jacket, and a lunch may also be helpful. Other tools will be provided at the nursery. Knowledge of plants is not necessary: your willingness to help is all that's required. Drop-in volunteers are welcome. You can check the weather at the nursery on our Bloomsky Weather Station. Directions: Hidden Villa is located on 26870 Moody Road Los Altos Hills, CA 94022. It is west of Foothill College. From Hwy 280 in Los Altos Hills, take the Moody Road exit and head west. Two miles west of Foothill College, look for the Hidden Villa sign and driveway on the left. Proceed over the bridge, and park in the Dana Center parking lot to your right. Parking is free for volunteers. The nursery is just beyond the Dana Center. The CNPS SCV Nursery was started in 1995 when Jean Struthers got a $10,000 grant from the Packard Foundation to build a nursery for the chapter. With that grant and the donation of some fencing left over from a Christmas tree lot, the nursery was started at Hidden Villa. The following excerpts from the July-August 1995 through the March--April 1997 editions of the Blazing Star trace the development of the Nursery's first few years.